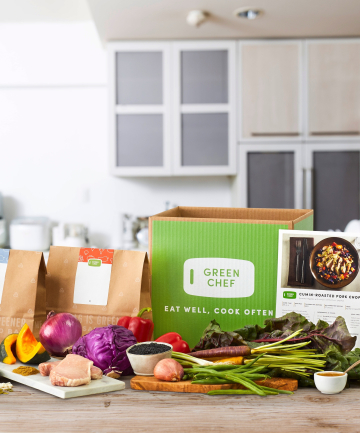 Green Chef, $79/box (includes three two-serving meals) Now that hibernation season is over, you have no excuses to fill up on hearty (aka mostly unhealthy) comfort meals. With a weekly meal kit from Green Chef, you can make flavor-packed meals in 40 minute tops. Best of all: The kits, which can arrive weekly, biweekly, or monthly, cater to your dietary needs and preferences, no matter if you're testing out the keto diet or are a loyal vegan.